Accident relief train has also been rushed for carrying out relief and rescue operations. Seemanchal Express Derailment LIVE: The deceased have been identified as Ilcha Devi (66), Indira Devi (60), Shamsuddin Alam (26), Ansar Alam (19), Shaida Khatoon (40), Sudarshan Das (60), the Government Railway Police (GRP) said. Seemanchal Express Derailment LIVE: Death toll rises to 7, said East Central Railway (ECR) General Manager LC Trivedi. 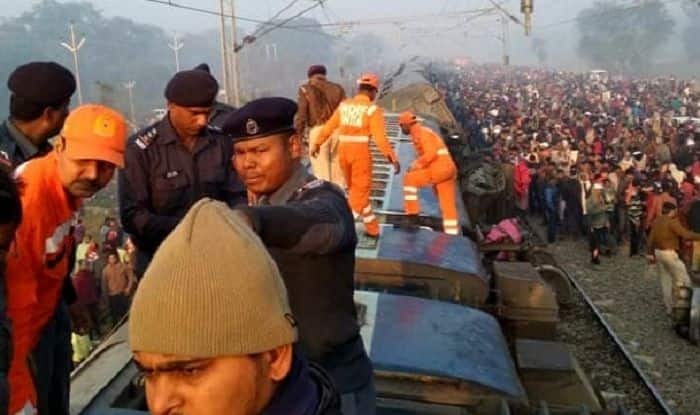 Seemanchal Express Derailment LIVE: Railways announced Rs 5 lakh ex-gratia to kin of those killed and Rs 1 lakh to those critically injured in the train mishap. Seemanchal Express Derailment LIVE: The Railways ordered an inquiry into the accident. CRS Eastern Circle Latif Khan will conduct a probe in the accident, news agency ANI reported. Seemanchal Express Derailment LIVE: This is the second major railway accident this week. Earlier on Friday, the Dayodaya Express between Madhya Pradesh’s Jabalpur and Rajasthan’s Ajmer was derailed near Jaipur. No passenger was reported to be injured in that mishap. New Delhi: Al least six people have been reported killed and several have been injured as nine bogies of Jogbani-Anand Vihar Terminal Seemanchal Express derailed near Bihar’s Sahadai Buzurg on Sunday. As per information received from Sonpur Division, the train passed Mehnar Road at 3:52 am and derailed near Sahadai Buzurg at around 3:58 am. Five coaches including three sleeper (S8, S9, S10), one general and one AC (B3) were among the derailed bogies. A team of doctors have been rushed to the accident site from nearby areas of Sonpur and Barauni. Accident relief train has also been rushed for carrying out relief and rescue operations.